Click Below to purchase my "All I Wanna Do" CD for $13.99, thanks! Also FREE Ring Tones on my website! George Arriola began his love affair with music at the age of four when he owned his very first guitar. Soon after, George had his first drum set given to him as a gift from his sister and brother in law. Much later, George opened his own recording studio of which he attained some success. He wrote, co-wrote and produced for a handful of his clients. Recently he decided it is time to focus and allow himself to enjoy what his clients rightfully enjoyed and devote himself Full-Time in not only working on his songs but his two son/s music as well, while he still can as he puts it. Often referred to as "A True One Man Band" George Arriola sings, plays several instruments, composes and produces music. From Grade School to College, he has years of experience in music. He has received awards in Songwriting, Jazz, Rock, Contemporary Christian, and Billboard Music. He was also voted Instrumental Album #3 in 2006 for his composing, arranging, production and performance on the "Feelings" CD. 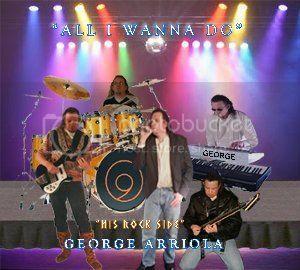 Now that his "Thank You" CD (The Mellow Side) has been released (www.georgearriola.com/muzikstore2.html) and now another release again under the Vyking Recordings Label "All I Wanna Do", (His Rock Side). It is a full length CD of some of George Arriola�s Up tempo Progressive Instrumental Rock music so be sure to get your signed copy today!! 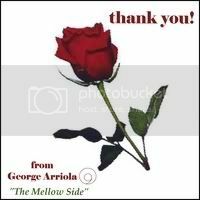 (www.georgearriola.com/muzikstore.html) George Arriola�s music has been well accepted at radio stations in parts of Texas, Washington, Colorado and Florida. Also, his Muzik is available with retailers such as: Target.com i-Tunes.com Amazon.com and other locations. Thanks for allowing us to share George Arriola�s Muzik with you!